When we strip away all the fancy explanations, everyone knows what an insight is. It also goes by the names epiphany, revelation, realization, paradigm-shift, deep understanding or awakening. 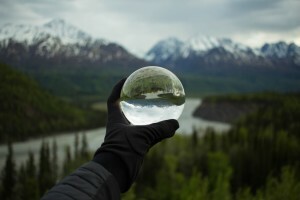 If we look closely, most people actually have “mini-insights” pretty regularly. It’s a moment where we have a deeper-than-thought realization that shifts our understanding or way of being. 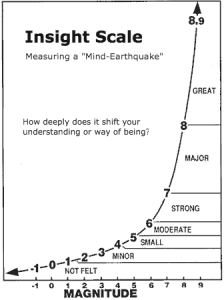 I think of insights as being like a mind-earthquake, occurring on a 0 – 10 magnitude scale (like the Richter Scale). 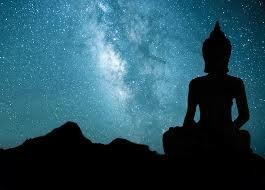 The higher the magnitude, the deeper the shift in our understanding & way of being. For example, a friend with poor eating habits once told me he had an insight about healthy eating. However, a couple weeks after his insight, we chatted again, and he really hadn’t made any tangible changes to his eating habits. Note: the video is essentially the same as the text below. Pick whichever format you like best! The working metaphor I use for mindfulness meditation is of an archeological dig. In archaeology, a dig starts with shovels and pick axes, with tools and processes. 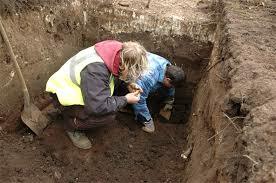 Eventually, this culminates in the discovery of artifacts, fossils and other treasures. Mindfulness meditation is very similar. In the practice of transcendental meditation (TM), a meditator repeats a mantra over and over, usually for a period for of 15-30 minutes. This mantra repetition tends to “override” the habit of thinking. 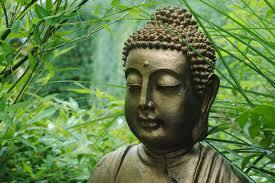 In turn, it leads to a sense of calmness, peace and inner stillness. In the practice of loving-kindness meditation (Metta), a meditator might repeat well-wishing phrases or consciously reflect on people or things they love the most. 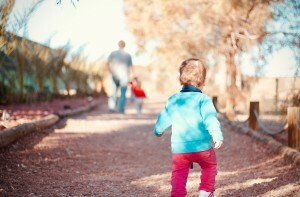 This practice tends to “override” whatever difficult emotions we are experiencing. In turn, it leads to feelings of love, kindness and warmth. Often when people think of meditation, they think of these types of practices—doing some kind of mental judo in order to produce a certain effect, like a quiet or empty mind, or feelings of love and warmth. While those meditations can be very powerful, the aim of mindfulness is a little different. Instead of trying to make the mind a certain way, like peaceful or loving, mindfulness simply teaches us to be aware of all things without reactivity. To put it another way, sometimes the best mindfulness practice can actually happen when the mind is very active and chaotic, or filled with intense emotions. This is because instead of trying to get rid of difficult experiences, mindfulness teaches us to find freedom even while they are happening. 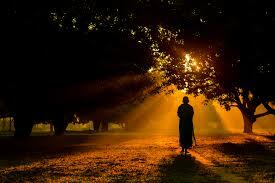 The Three Roads On The Path Of Sincerity: Are You Walking Them? 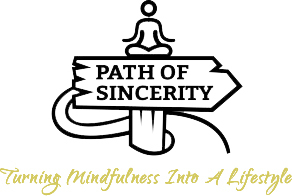 One of the main ways I’ve come to think about the path of sincerity, awakening or wholeness is that it actually consists of three separate roads. A truly integrated and enlivened spiritual life needs to include all three of these. 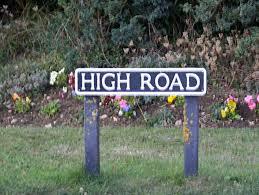 The high road consists of joy, passion, love and living our deepest aspirations. 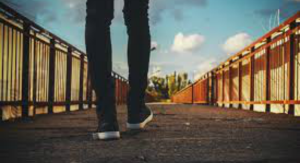 The low road consists of becoming intimate with our shadows/struggles, and working through whatever is preventing us from living on the high road. The middle road consists of our everyday life, a place where we come down to earth, find our sense of humor and embrace what is. There’s an ancient story where a layperson approached the Buddha and asked him about the greatest joys of living in the world. When monks or serious meditators asked him this question, he would reply by talking about the fruits of meditation; mostly, inner freedom. However, this was an everyday person, and so the Buddha told him the top four types of joy for a person who lives in the world. This blog revolves around the idea of sincerity, which is really nothing more than living truthfully. However, even though sincerity is quite simple, truth is a little more complicated. Let’s say your friend has you travel an hour to meet him somewhere. Once you arrive, he texts you to say that he got caught up in some things, and won’t be able to make it. He texts you that AFTER you arrived!!! You feel irritable and angry, and are tempted to lash out. However, you also have a deep rooted intention to be kind in the world. What to do? What way of responding would be most truthful for you? By the end of this post, you will have a better sense of the most sincere response. For starters, there are basically three levels of truth: psychological, emotional and spiritual. The secret to a life of sincerity is becoming intimate with all three, recognizing their realities and their limitations.